So I gave them over to their own stubborn heart, To walk in their own counsels. “Oh, that My people would listen to Me, That Israel would walk in My ways (Psalm 81:11-13 NKJV). There are many scriptures in the New Testament that tell us exactly what "walking with Jesus" looks like. Let us examine some of those scriptures. 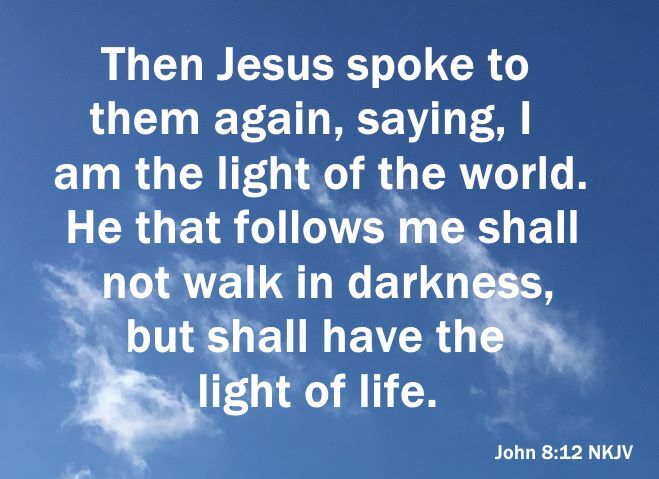 When Jesus was talking to the Pharisees in John 8, He told them not to walk in darkness but in the light of life. Then Jesus spoke to them again, saying, I am the light of the world. He that follows me shall not walk in darkness, but shall have the light of life (John 8:12 NKJV). Where is Your Father (John 8:19 NKJV)? You know neither Me nor My Father. If you had known Me, you would have known My Father also (John 8:19 NKJV). The Pharisees knew what Jesus was saying when He said that He is the light of life, that He is in fact God. If we don't know that Jesus is God, we will always walk in darkness just like the Pharisees walked. Without knowing who He is, walking with Jesus will be impossible. For we walk by faith, not by sight (2 Corinthians 5:7 NKJV). 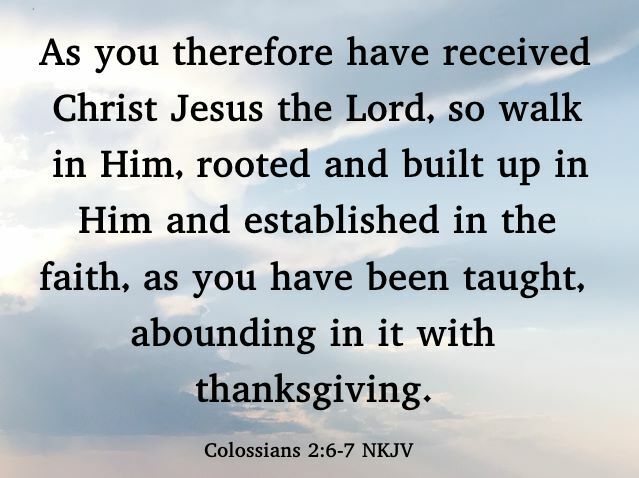 As you therefore have received Christ Jesus the Lord, so walk in Him, rooted and built up in Him and established in the faith, as you have been taught, abounding in it with thanksgiving (Colossians 2:6-7 NKJV). In the body of His flesh through death, to present you holy, and blameless, and above reproach in His sight if indeed you continue in the faith, grounded and steadfast, and are not moved away from the hope of the gospel which you heard, which was preached to every creature under heaven, of which I, Paul, became a minister (Colossians 1:22,23 NKJV). And it came to pass, that, while Apollos was at Corinth, Paul having passed through the upper coasts came to Ephesus: and finding certain disciples, He said unto them, Have ye received the Holy Ghost since ye believed? And they said unto him, We have not so much as heard whether there be any Holy Ghost. And he said unto them, Unto what then were ye baptized? And they said, Unto John's baptism. Then said Paul, John verily baptized with the baptism of repentance, saying unto the people, that they should believe on him which should come after him, that is, on Christ Jesus. When they heard this, they were baptized in the name of the Lord Jesus. And when Paul had laid his hands upon them, the Holy Ghost came on them; and they spake with tongues, and prophesied. And all the men were about twelve (Acts 19:1-7). Walking with Jesus in faith must include obeying the gospel: repentance, baptism in the name of Jesus and receiving the gift of the Holy Ghost, with the evidence of speaking in tongues (Acts 2:38). After we obey the gospel, our walk with Jesus will include preaching and teaching it to the lost. 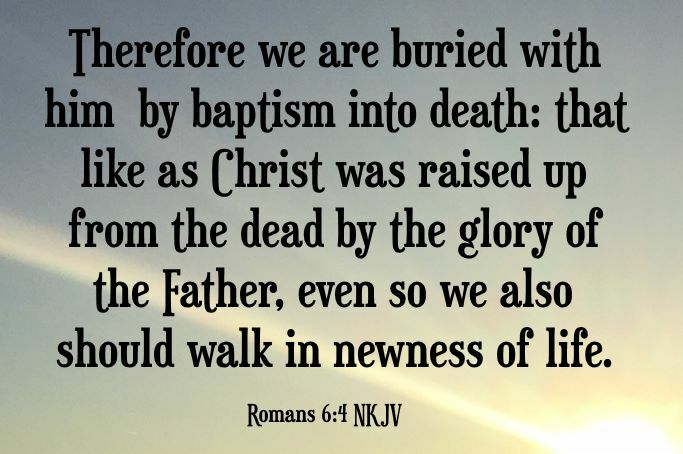 Therefore we are buried with him by baptism into death: that like as Christ was raised up from the dead by the glory of the Father, even so we also should walk in newness of life (Romans 6:4 NKJV). But if the Spirit of Him who raised Jesus from the dead dwells in you, He who raised Christ from the dead will also give life to your mortal bodies through His Spirit who dwells in you (Romans 8:11 NKJV). Paul also tells us that the Holy Spirit, which is Jesus Christ, who is God will dwell and walk in us and that He will be our God and we will be His people. And what agreement has the temple of God with idols? For you are the temple of the living God. As God has said: I will dwell in them And walk among them. I will be their God, And they shall be My people (2 Corinthians 6:16). Hallelujah, walking with Jesus is such a blessing. There is therefore now no condemnation to those who are in Christ Jesus, who do not walk according to the flesh, but according to the Spirit (Romans 8:1 NKJV). That the righteous requirement of the law might be fulfilled in us who do not walk according to the flesh but according to the Spirit (Romans 8:4 NKJV). I say then: Walk in the Spirit, and you shall not fulfill the lust of the flesh (Galatians 5:16 NKJV). We will walk in the light, knowing that Jesus is God. We will walk in the faith of the Gospel of Jesus Christ. We will walk in newness of life as we have repented, have been baptized in the name of Jesus Christ and have been filled with the Holy Spirit. We will walk in the Spirit and not in the flesh.